From its canals to its world famous museums, Amsterdam is one of the most romantic and beautiful cities in Europe. 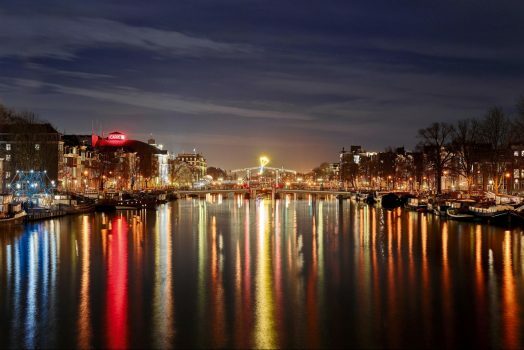 Although an excellent short break year round, during the winter Amsterdam lights up. From the start of December until mid-January, artists from around the world illuminate the city’s architecture. 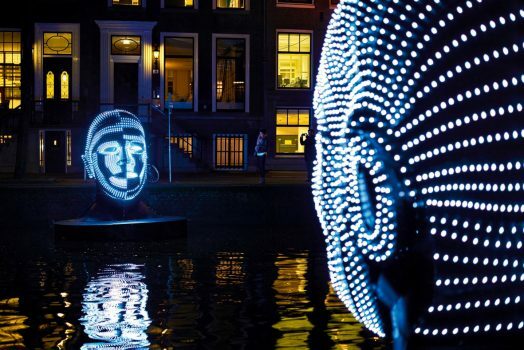 The Amsterdam Light Festival strives to inspire, with a host of talented artists, designers and architects contributing to this open-air spectacle. The light installations featured are all created especially for the festival. 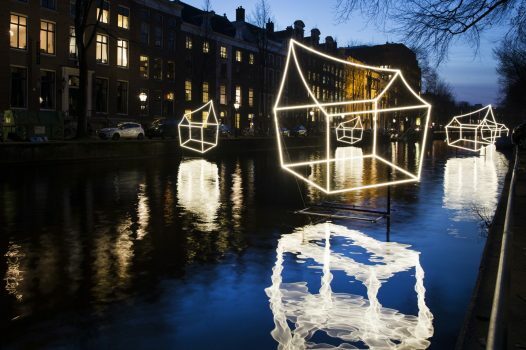 Stroll along the canals to see them illuminated with artworks. You could also cycle among the masterpieces to fit in with the locals and have a truly Dutch experience! During the day, Amsterdam has plenty of other art to enjoy! It is awash with museums and galleries for those with an interest in art such as the incomparable Van Gogh Museum! Or if you just wanted to see the city aglow, there are lots of other fascinating museums just waiting to be explored! Why not visit the Anne Frank’s House or the Rijksmuseum. Furthermore, engage in a Heineken experience or enjoy the sparkle of a free Gassan Diamonds tour. There’s so much variety packed into this city, it’s not surprising it’s one of the must-do European destinations. When your feet begin to ache, sit back and relax in one of the many canal side cafes and restaurants. This is especially exciting during the light festival, as the rippling waters glisten with the reflected lights. 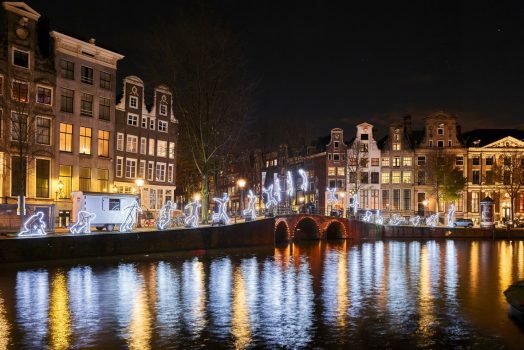 Additionally, for one night in mid-December enjoy the Christmas Canal Parade! Travel to Dover for your short sea crossing and continue your journey to Amsterdam. Upon arrival, check in to your chosen hotel and, if time allows, begin exploring this fantastic city. A full day to explore this cosmopolitan city. 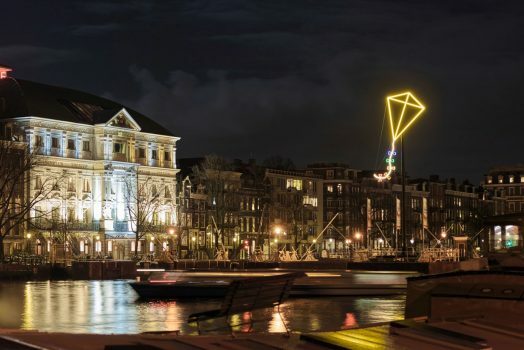 Enjoy an optional visit to Gassan Diamonds to have a guided tour of this famous Diamond Factory or include an orientation tour of Amsterdam with a tour guide showing you the main sights. The rest of the day is free to explore this unique city with its famous tree-lined canals and preserved 17th century gabled houses. 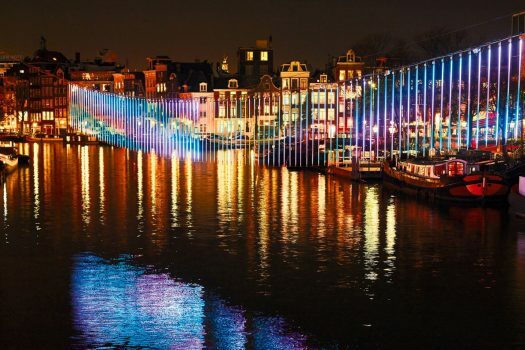 In the evening Amsterdam comes to light with its Light Festival. 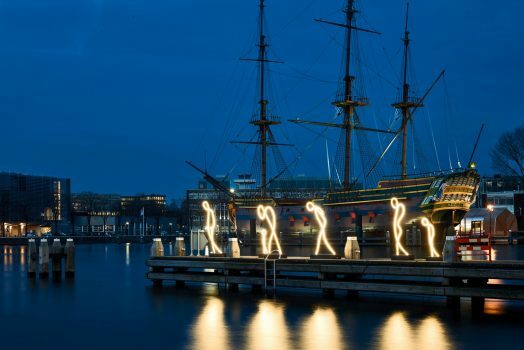 Walk or sail alongside light sculptures created by leading artists and beautifully illuminated buildings and bridges. Have another free day in Amsterdam exploring the many museums such as Rijksmuseum, Van Gogh Museum or Anne Franks House. Enjoy a cruise on the famous canals or take a seat in the many canal side cafes and restaurants and sample some Dutch delights. Alternatively take a trip to Volendam, a pretty Dutch fishing village north of Amsterdam, where the locals still dress in traditional costume. There are plenty of tourist shops and restaurants (try the local smoked eels!) and the possibility to take a local ferry to the nearby island of Marken. On the return a stop can be made at ‘De Simonehoeve’ to see demonstrations of cheese and clog making. Enjoy a final stroll along Amsterdam’s picturesque canals before beginning your homeward journey. Travel to Calais for the return ferry to the UK. Located close to the airport, there is good access from this hotel to the city centre. The hotel boasts a modern wellness centre, gym and indoor pool along with a bar and restaurant, which offers an extensive buffet breakfast. Bedrooms feature flat screen TVs, air conditioning, safes and desks. 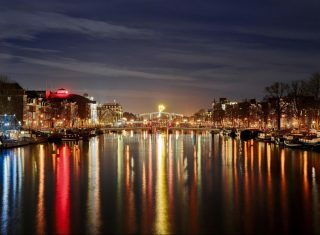 This hotel, located in the heart of Amsterdam, is a mere 5 minute walk from Rembrandtplein Square. This is a calm area of town with good access to public transport. The rooms are equipped with safe deposit boxes, telephones, TVs, desks and bathrooms with shower and hairdryers. Enjoy an all you can eat breakfast and relax in the hotel bar in the evening. *Group dinners are not available at the Ibis Amsterdam Centre Stopera but can be arranged at restaurants in Amsterdam in request. Other dates and hotels are available on request. By Coach – Depart from your local area and travel to Amsterdam by coach. We can arrange short-sea Dover-Calais / Dunkirk ferry crossings or Eurotunnel crossings from Folkestone-Calais. Alternatively, take the overnight ferry from Hull-Zeebrugge / Rotterdam, Newcastle-IJmuiden or Harwich-Hook of Holland. 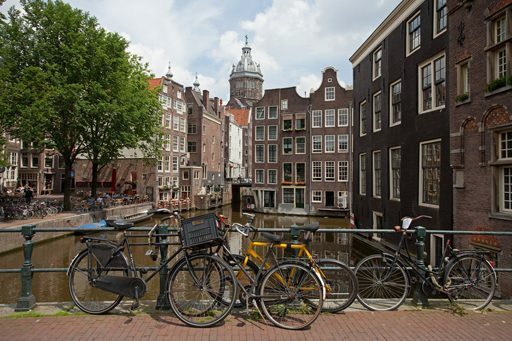 We can arrange overnight stops to break your journey between the ports and Amsterdam at a selection of hotels to suit your budget and travel plans along the way. By Train – Take the Eurostar direct from London, Ashford or Ebbsfleet to Amsterdam Central, or indirect via Brussels Midi. By Air – Fly direct to Amsterdam from a number of regional UK Airports with low-cost and scheduled carriers. We can arrange transfers to / from your local airport as well as from Amsterdam Airport to your hotel.